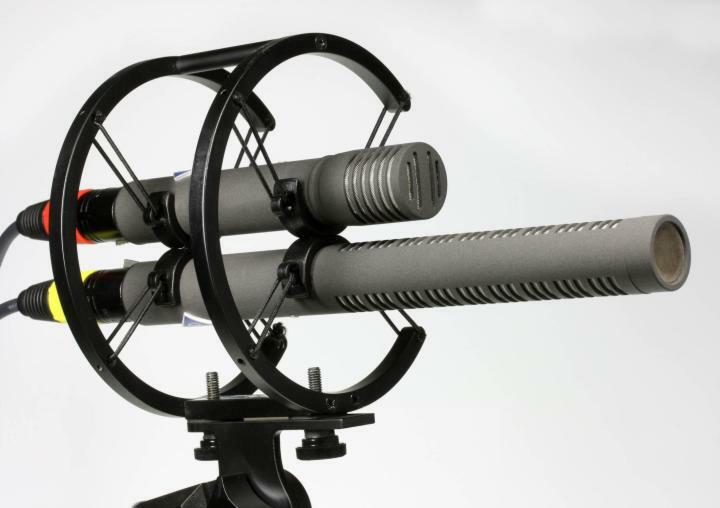 Neumann received enthusiastic response to the presentation of the first digital shotgun microphone at IBC 2009. The acoustic properties of the KMR 81 D are based on those of its analogue counterpart which is a short shotgun microphone with a pickup angle of 90 degrees and almost frequency-independent off-axis damping. The digital version has integrated Solution-D circuit technology which is already known from other Neumann microphones. The A/D converter is especifically designed for use with the capsule. The digital model also offers optional signal processing features which have proved to be very helpful, particularly in an electronic news gathering (ENG) environment. The fast peak/compressor limiter has been found to be exceptionally beneficial. All settings are done by the Remote Control Software and eventually stored in the microphne, including the dynamics processor, filter settings and gain. During production, the preprogrammed KMR 81 D can then be connected directly to a field recorder with an appropriate AES 42 input. The KMR 81 D can be combined with the KK 120 from the Neumann miniature microphone system, offering the option of a figure-eight directivity to obtain a compact, fully digital MS stereo configuration. © 1997 © 2009 Pro-Music-News™. All rights reserved. Thank you for visiting Pro-Music-News.